The semi-annual Good Hope Lions Pancake & Sausage Supper will be held Saturday, March 11 from 11 a.m. to 7 p.m. 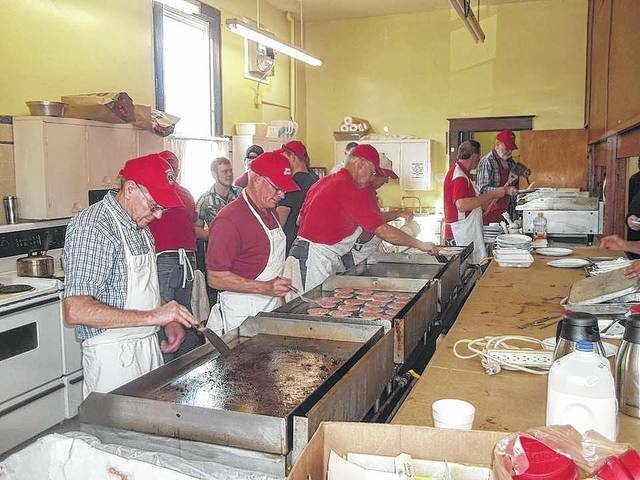 The semi-annual Good Hope Lions Pancake & Sausage Supper will be held Saturday, March 11 from 11 a.m. to 7 p.m. at the Wayne Township Hall in Good Hope. The all-you-can east menu will include sausage and pancakes with hot syrup, butter, and a choice of coffee, milk, or water. The cost is $6 for adults and $3 for children. Bulk sausage will also be available for purchase. Proceeds from the supper will be distributed to a number of community organizations, charities, local college scholarships and Lion Sight Saving programs. Through the Pancake and Sausage Suppers and Candy Store, the Good Hope Lions Club was able to donate almost $33,000 to local charities and Lions Sight Saving Activities in 2016. Your patronage is greatly appreciated. https://www.recordherald.com/wp-content/uploads/sites/27/2017/03/web1_thumbnail_Pancake-Sausage-Pic-Nov-2016.jpgThe semi-annual Good Hope Lions Pancake & Sausage Supper will be held Saturday, March 11 from 11 a.m. to 7 p.m.